We are very pleased to expand our leather interior re-upholstery program to include Beechcraft, Grumman, Piper, Mooney and Cessna aircraft! 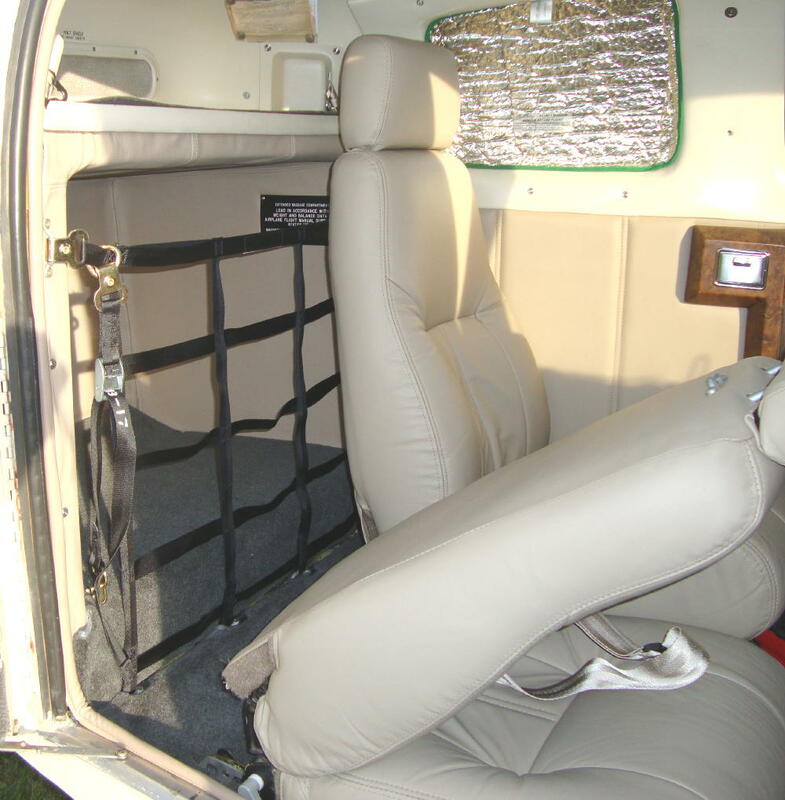 For years, we have been producing some of the finest leather aircraft interiors for 4-seat Grumman aircraft for the low price of only $3,900 + shipping*. We are now happy to extend this program to a variety of other General Aviation aircraft. As reviewed in our videos, interior refurbishment is a legal owner maintenance task, per the FAR's. Our program helps you revitalize your aircraft interiors. We do the hard work, so you don't have to. 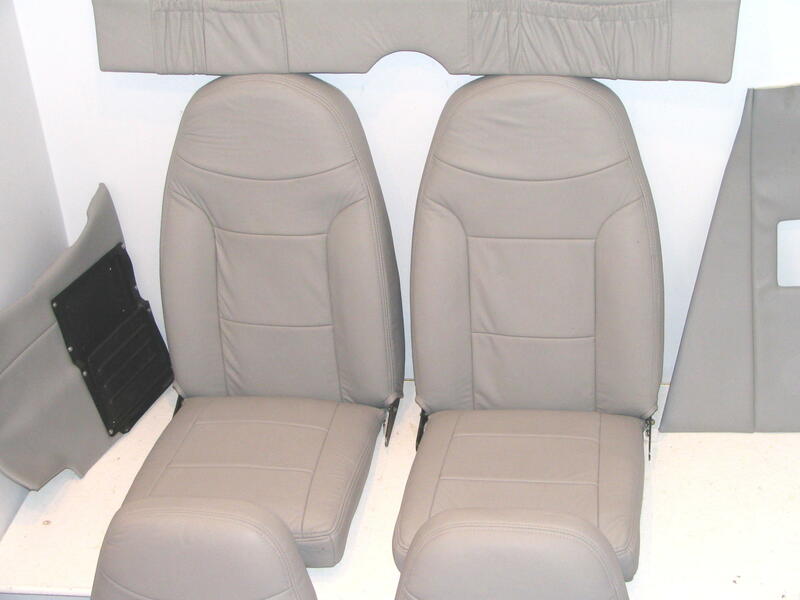 The program is simple: You remove your seats and sidepanels and ship them to us. We refinish everything in top-grade leather! Then, we ship you back a dramatically improved and refurbished interior, including improvements to the foam, side panel supports, Aluminum armrest supports and much more. 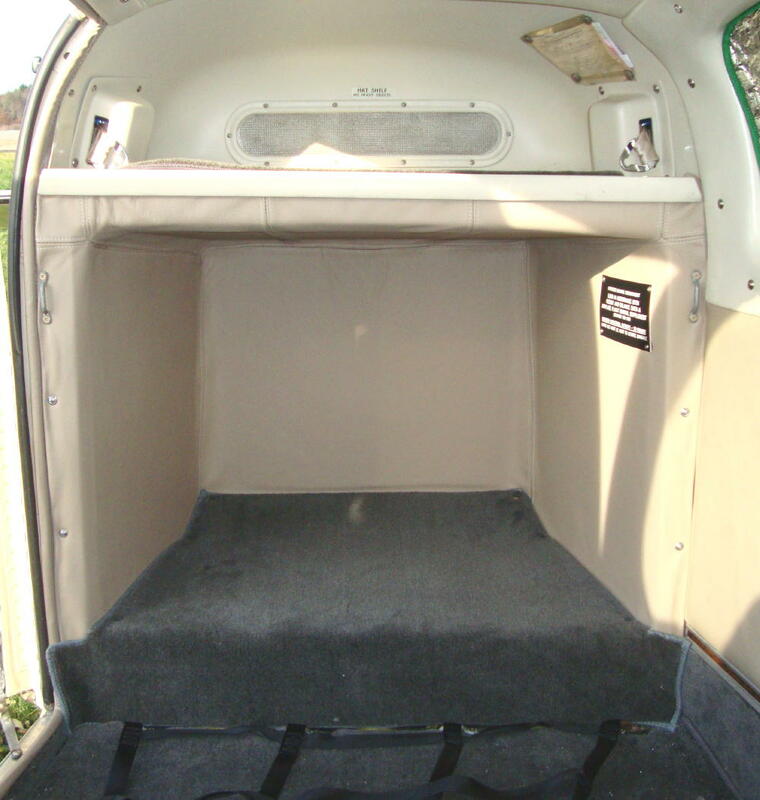 The work is done by a professional upholstery shop with double stitching, custom pockets, lumbar supports, etc. The leather is top grade, full hide leather with FAA burn certificates. Every part is complete leather with no other exterior materials used! * Prices may vary depending on aircraft and materials chosen. This item cannot be ordered via the web site. Call for details and order placement. All interior product sales are final. 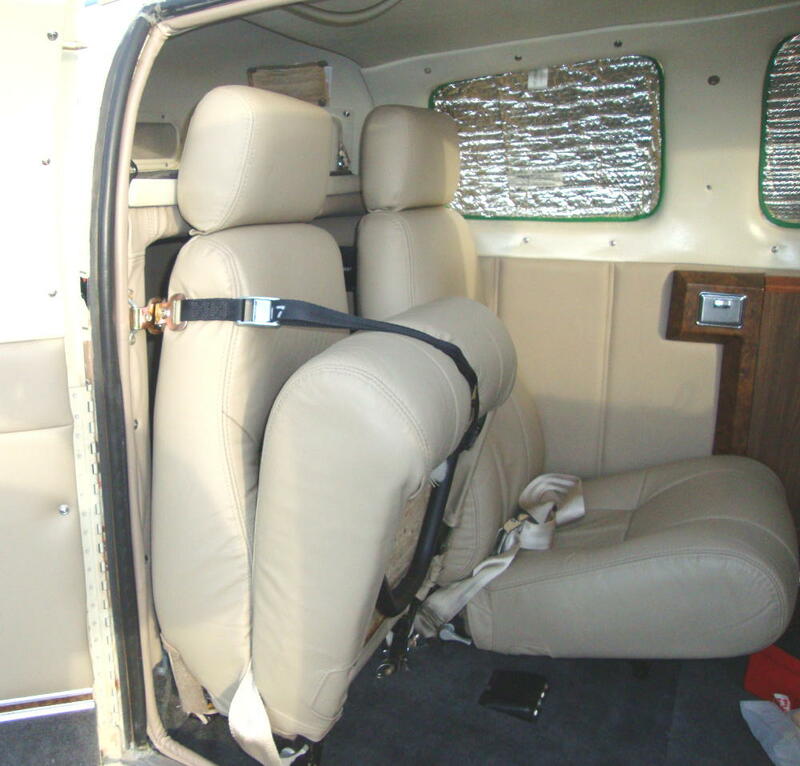 Typical 4-Seat Aircraft Interiors Start at Only $3,900! For more information or to purchase, contact Approach Aviation at 877-564-4457. * All STC Kit sales are final and non-refundable. 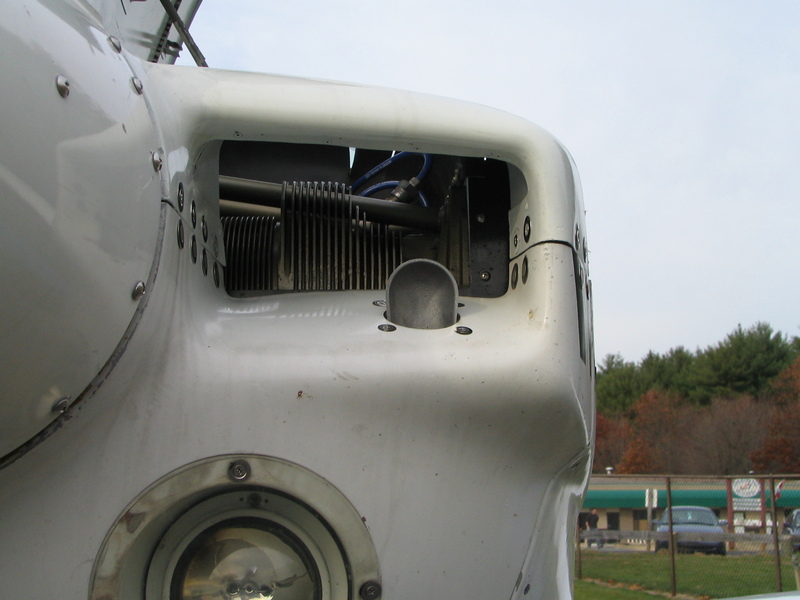 Components are warranted for manufacturing defects for 60 days from the time of purchase. Ram-Air STC for Grumman AA-5 Traveler and AA-5A Cheetah Owners! Approach Aviation received an STC on October 29th, 2004 for an Alternate Air system for all Grumman AA-5 Traveler and AA-5A Cheetahs. This Alternate Air System is designed to provide an alternate source of induction air into the engine without the restriction of the standard induction air filter. 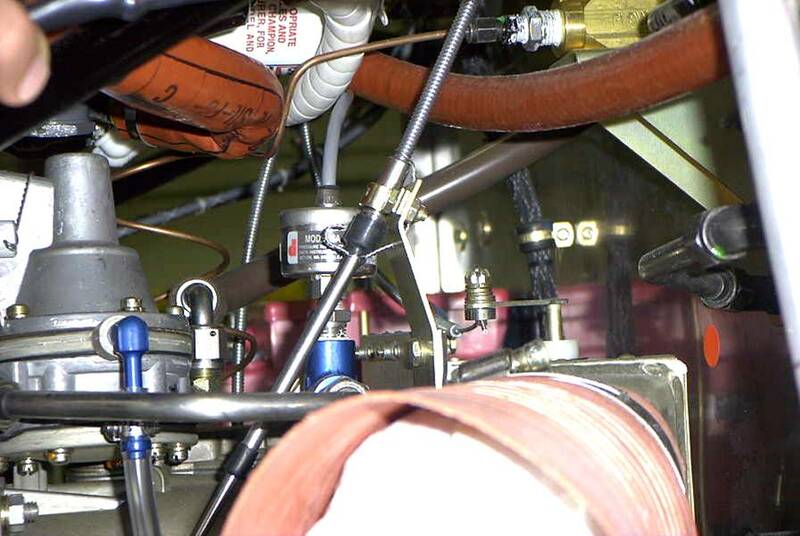 This system allows the pilot to bypass the induction air filter without the reduction in available engine power caused by resorting to carburetor heat. 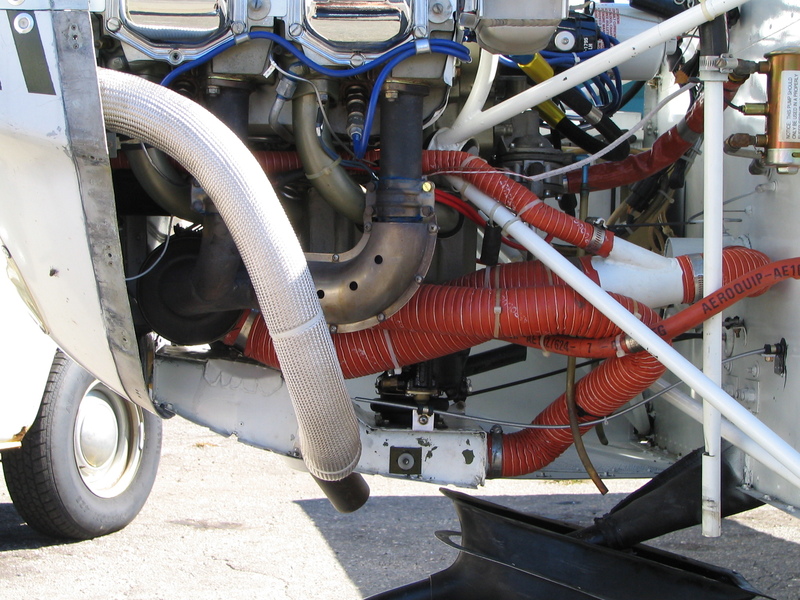 A cable control in the cockpit opens/closes a valve into the airbox that supplies unfiltered air from the available air in front of the forward engine baffling. In addition, the inlet location provides a source of "Ram-Air" which has been tested to increase manifold pressure by approximately 1/2"+. 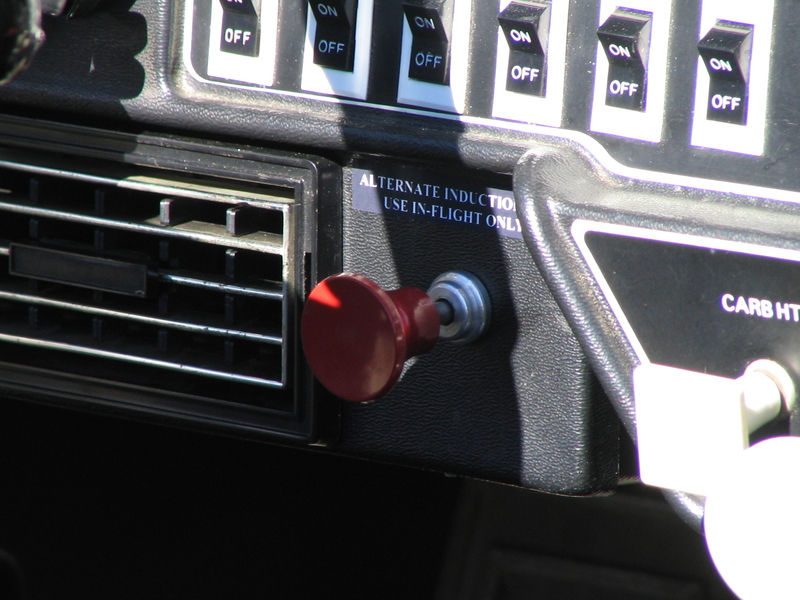 This equates to approximately 4hp more power (see Lycoming power chart). This new system, complete with all necessary hardware, is available to the first ten customers for the introductory price of $750. Installation time is approximately 4-6 hours. 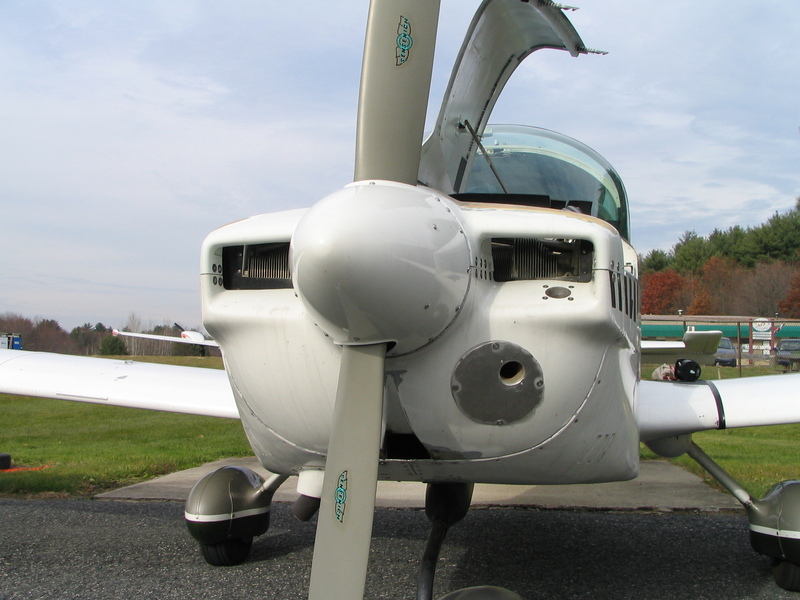 Grumman AA-5-series Aircraft Owners: The 100hour Aileron Inspection AD has been amended! 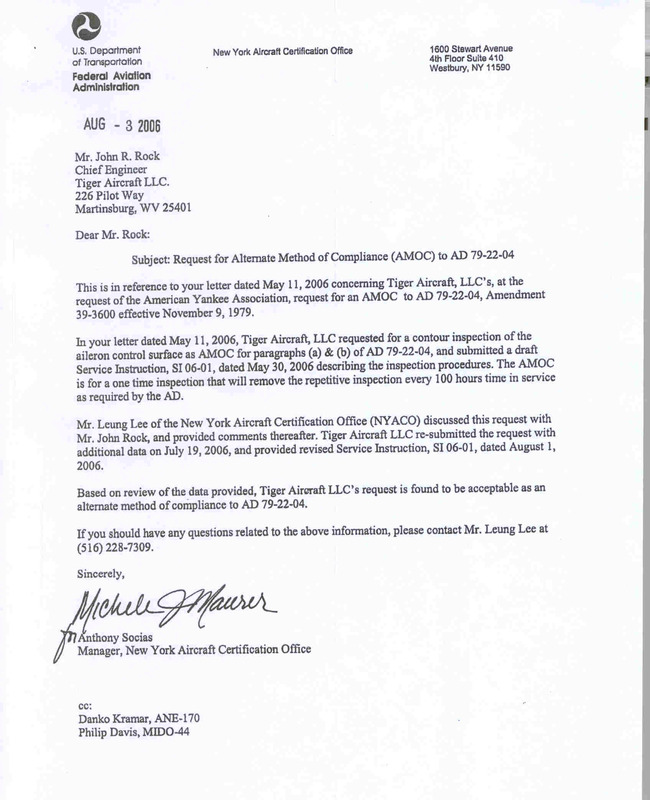 I am very pleased to announce that, after years of persistence, we have succeeded in gaining approval for an alternate means of compliance (AMOC) AD 79-22-04 to provide for removal of the recurring aileron inspection! The FAA has accepted the proposed alternate means of compliance to AD 79-22-04. 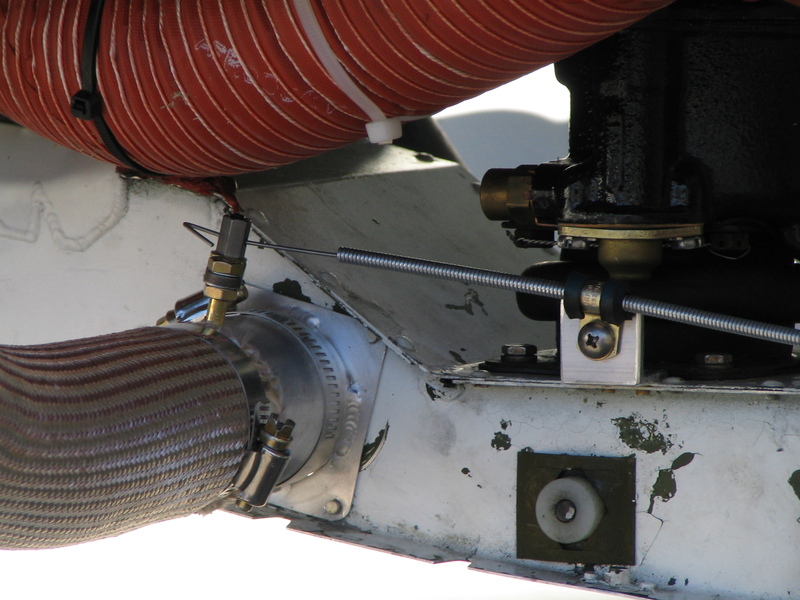 The accepted alternate means requires compliance to Service Bulletin 163/Service Kit 144 for aircraft with riveted aileron torque tubes. It also provides instructions for a contour inspection of the ailerons. 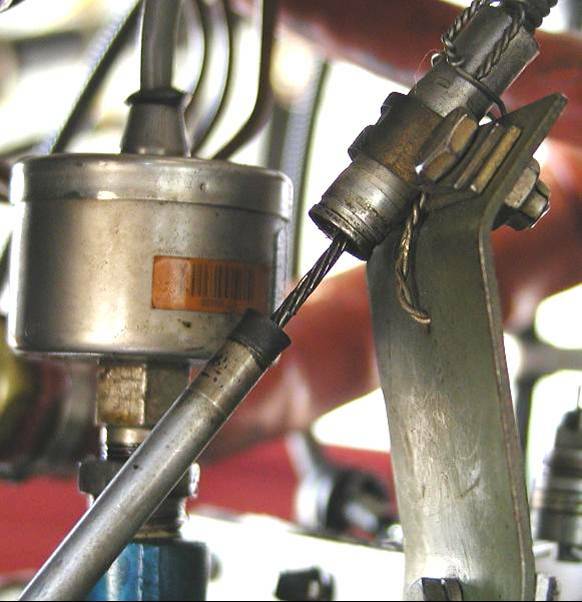 If both ailerons are found to be in contour then further repetitive inspections of the control system as specified by the AD are no longer required. 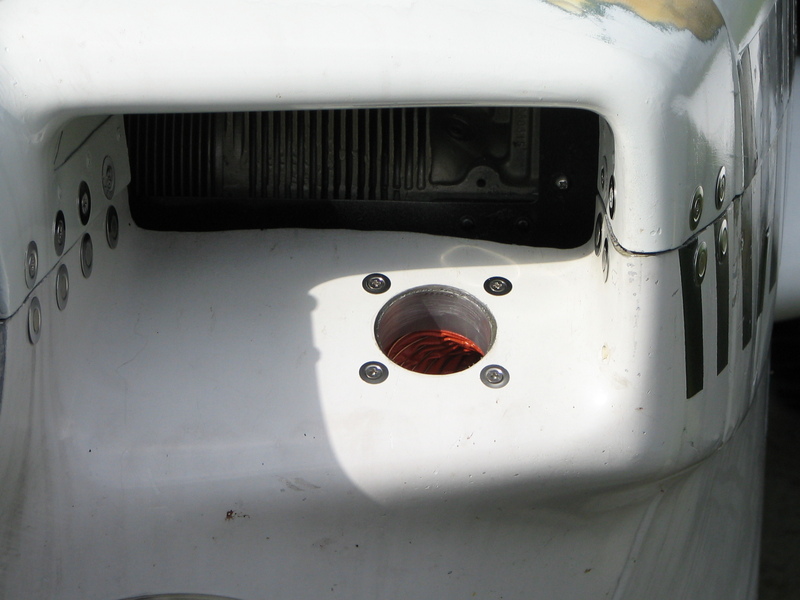 Essentially, the AMOC requires a one-time inspection of the ailerons to ensure that they are within production tolerances. This check can be completed with a simple straight edge tool, as defined in the AMOC documentation. 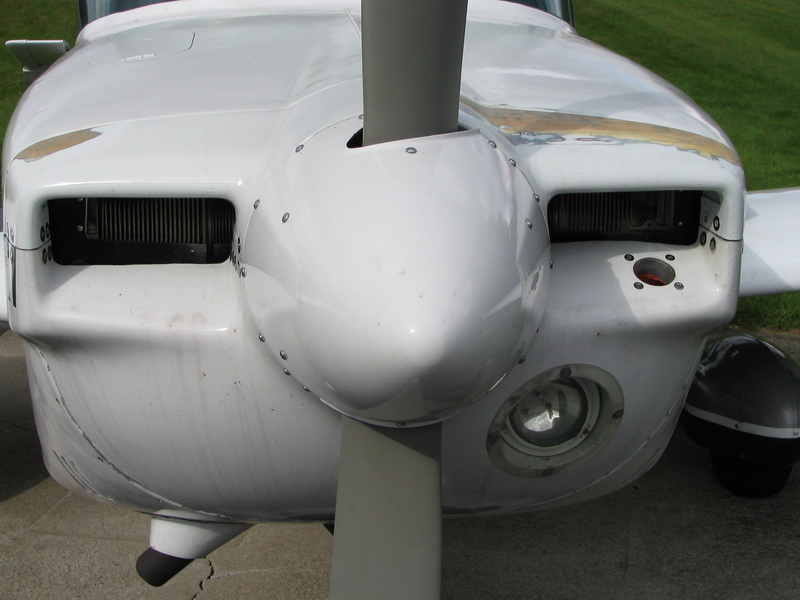 One the ailerons have passed this inspection, AD 79-22-04 has been complied with fully. 100hr inspections will be a thing of the past. Special thanks to John Rock at Tiger Aircraft for working with me through the years to make this happen!